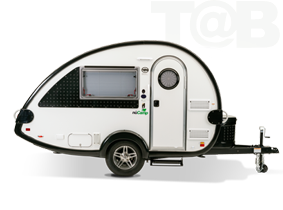 The TAB Teardrop Camper has long since become a cult object. One reason for this is its unmistakably unconventional style and the other is, of course, its active fan community. 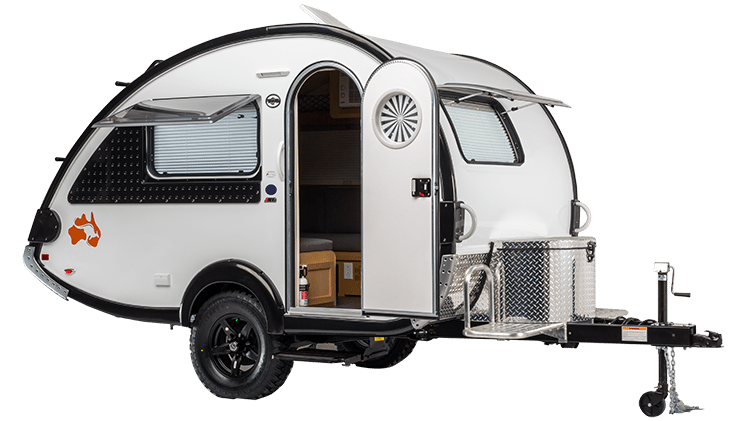 The TAB is, in any case, one of the most unique travel trailers anywhere and will surprise you with its modern and luxuriously crafted design. The TAB Teardrop Camper has long since become a cult object. One reason for this is its unmistakably unconventional style and the other is, of course, its active fan community. The TAB is, in any case, one of the most unusual travel trailers anywhere and will surprise you with its modern and luxuriously crafted design. 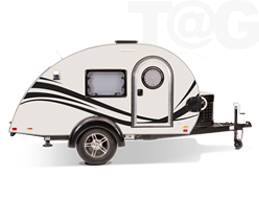 TAB Teardrop Campers are manufactured by nüCamp RV in Sugarcreek, Ohio, in the heart of Amish Country. nüCamp RV is a Pleasant Valley Teardrop Trailer company that was founded in 2005 as a boutique teardrop trailer manufacturer. Pleasant Valley’s early focus was on manufacturing vintage teardrop trailers reminiscent of the teardrop trailers from the 1930s and ’40s. Pleasant Valley’s humble beginnings in a 3-car garage have led to a large and modern state-of-the-art manufacturing plant in the rolling hills of Sugarcreek, Ohio. The company employs skilled craftsmen and women, who are dedicated to producing the highest quality teardrop trailers in the world. 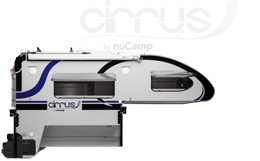 nüCamp RV is also the manufacturer of the TAG Teardrop Trailer and the Cirrus Truck Camper. In 2010, Pleasant Valley Teardrop Trailers reached an agreement with Dutchmen Manufacturing to acquire the rights to the TAB Teardrop Trailer. nuCamp started by offering the traditional floorplans originally designed within the US as well as European markets. 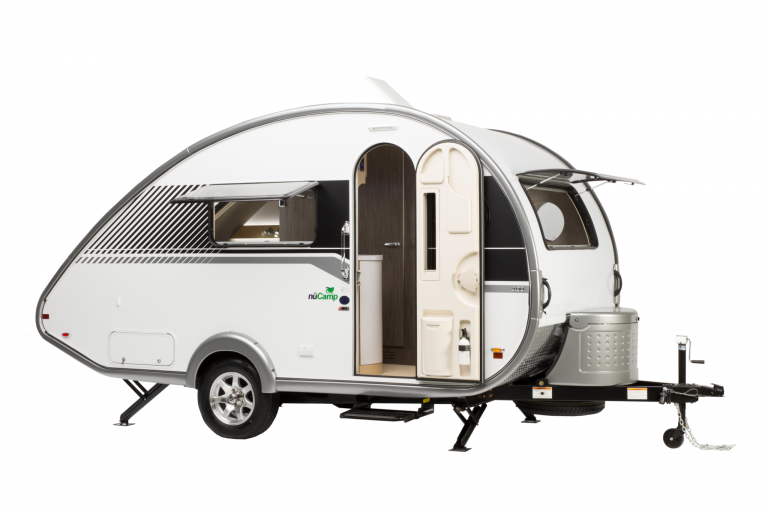 However, shortly thereafter, the company introduced two new models that featured an innovative wetbath – something that had never been done before in a teardrop camper trailer. 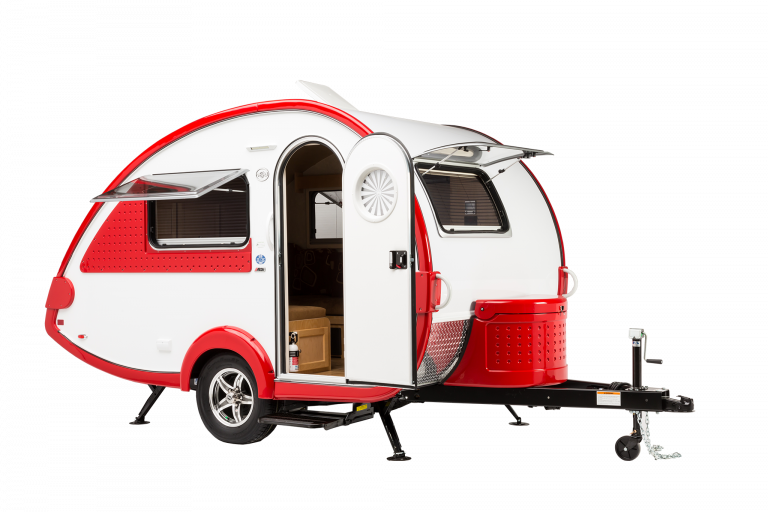 In 2016, Pleasant Valley Teardrop Trailers launched the nuCamp RV brand to replace the Pleasant Valley brand name. This new brand better reflects the company’s vision and plan to bring the same dedication to quality construction and innovative design with which it has been associated over the last decade. The launch of the TAB 400 in the summer of 2017 was the first step in the company’s plan to broaden its base of product offerings.